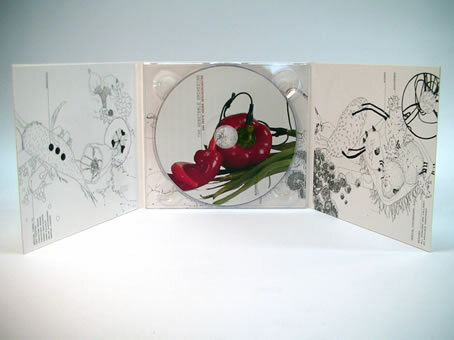 The artwork and graphic design for the second release of the Vienna Vegetable Orchestra was a process of drawing. This unique orchestra which I am actually part of uses exclusively vegetables as their instruments for making sound. 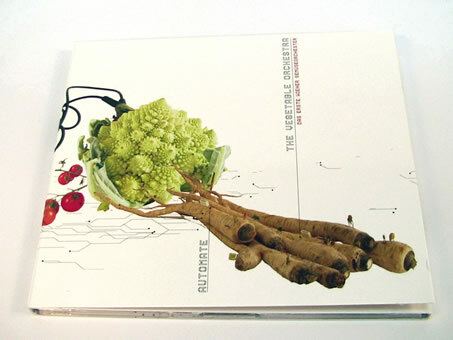 The concept of this Automate CD is the interpretation and reconstruction of electronic music with organic means. living organisms, fictitious hybrids somewhere rooted in between software, genetic food and high-tec instruments. To simplify matters, lets call it 'veg-ware' ..